Bush will perform on TBS’ late night program Conan on Thursday, May 10. Produced by frontman Gavin Rossdale, the group’s seventh studio record marks the band’s third release featuring its current lineup of Rossdale, guitarist Chris Traynor, bassist Corey Britz and drummer Robin Goodridge, which formed in 2010 after the original lineup disbanded in 2002. Bush are teaming up with Stone Temple Pilots and The Cult for a summer tour of North America. Billed as the “Revolution 3” tour, the 20-city run will see the three acts perform full sets while taking the stage in a different order on every stop of the revolving headline run, which will open in Nashville, TN on July 18. 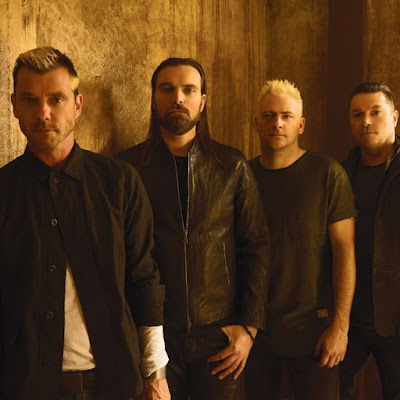 "It's going to be a great summer with STP and The Cult, two bands built on great rock songs," says Rossdale. "See you all out there." UPDATE: You can watch Bush perform on Conan here.